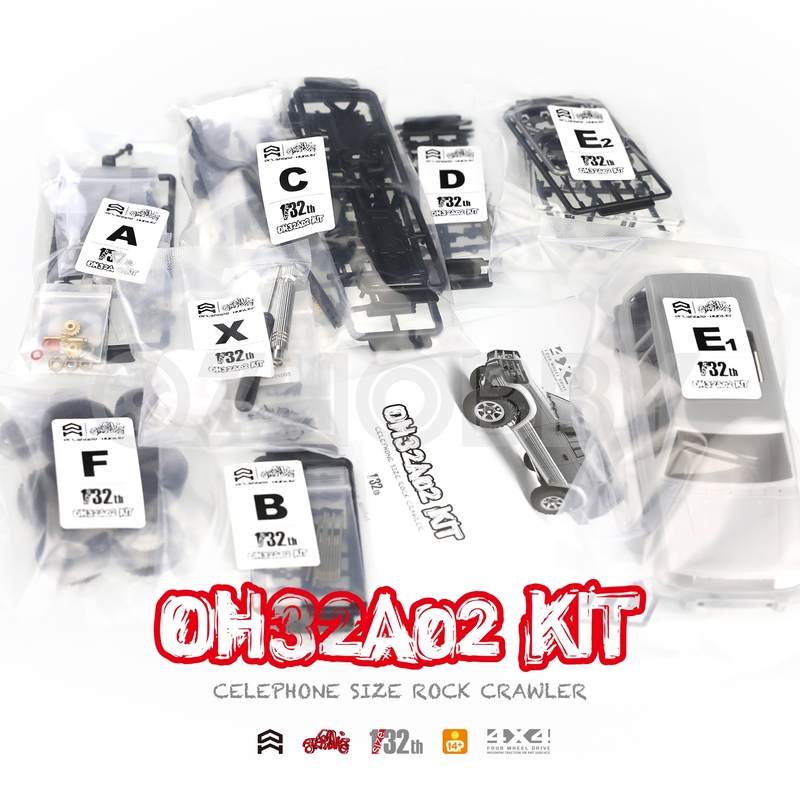 The Orlandoo OH35A02 1/32 Micro Crawler Kit is an incredibly capable micro size scaler. 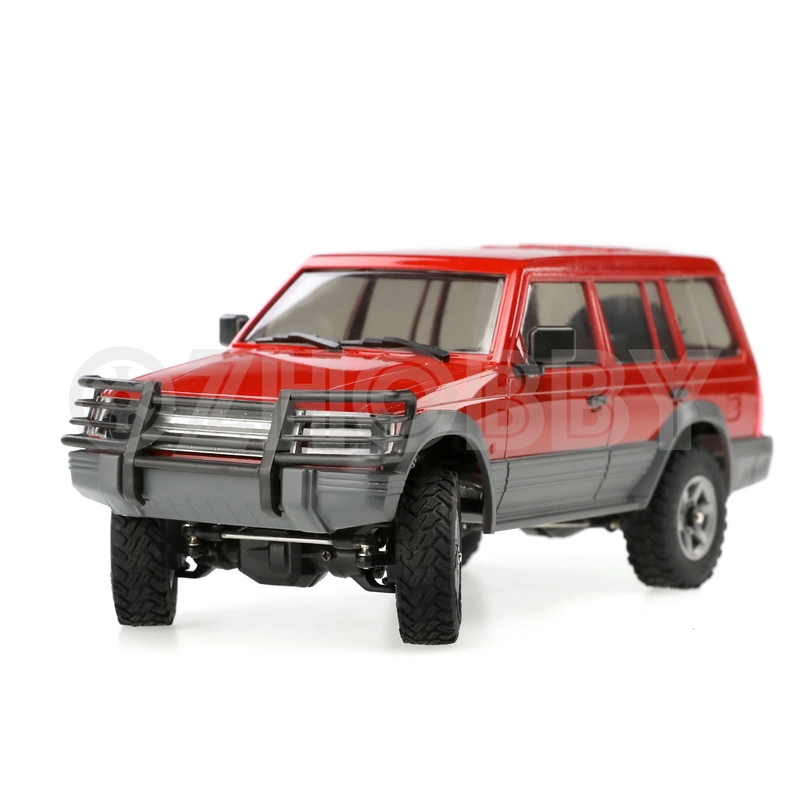 This cellphone sized kit includes a highly detailed Mitsubishi Pajero hard plastic body, super soft scale tires, scale axles and six spoke mag wheels. But don’t let the micro size fool you! This little crawler is equipped with four-link suspension, friction shocks on all four corners and enough axle articulation to make this tiny truck a true performer. 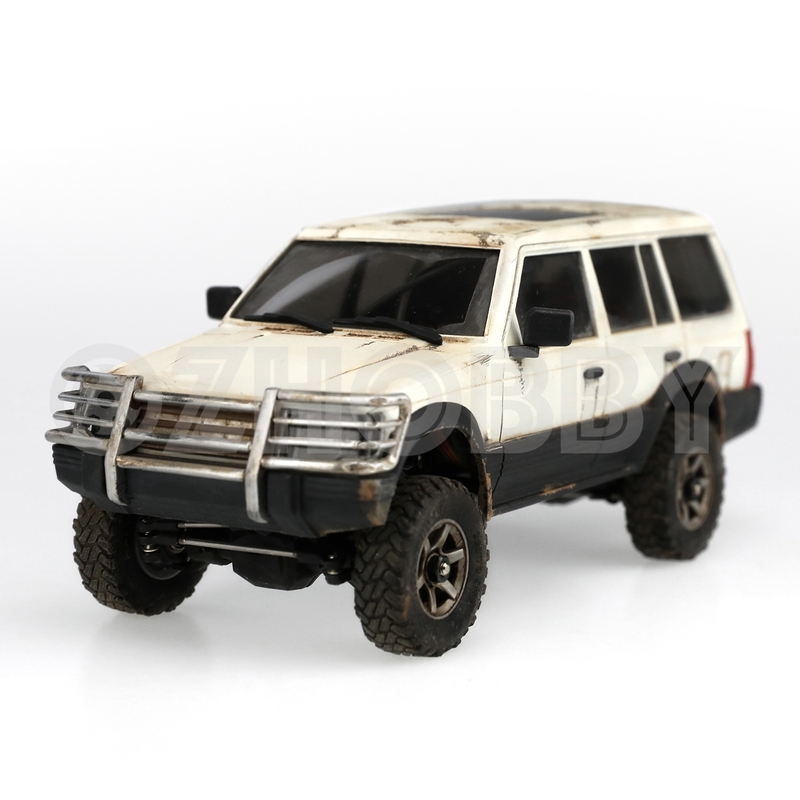 This kit shares many parts with the the 35A01 Jeep Wrangler, but compared to the Jeep this kit offers up 10mm longer wheelbase and 2mm wider track width. 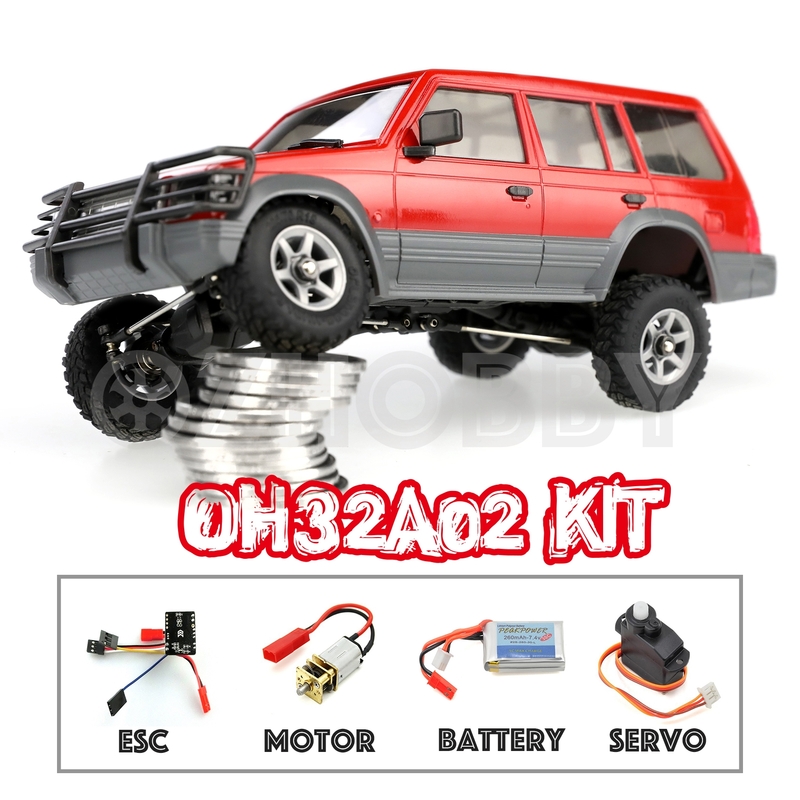 The OH35A02 is an unassembled kit, and requires servo, ESC, motor and battery for completion. We recommend you choose Orlandoo Hunter components to complete the package. You will need one 2.2g micro digital servo, one Orlandoo micro motor, one 260mAH 2S LiPo battery, one PCB/LED/ESC board and a 3 channel radio system to finish off the kit. Some building experience is recommended.